The DARK TIMES TRIBUNE was published in 2006 by Anne as part of a curriculum unit on the Middle Ages created by Tanae Tarver's 4th Graders at Capitol Hill Magnet School, St. Paul, Minnesota, U.S.A.
HOW |Paper-to-pixels, our onsite mentored labs ground child-designed publishing projects--books, newspapers, blogs, zines and more--in the history of the 4,000 year-old continuum of storycrafting publishing techniques and technologies. Our labs start with pictographs, move to our ancient Scriptorium simulator and end with our own design and execution of printed products and hyper-modern Cloud production. WHO | Anne Brataas is an award-winning writer and science-curriculum designer, principal and founder of the St. Paul-based international science writing firm, The Story Laboratory, LLC. She is also a master writing teacher and board member of Macalester College's Minnesota Institute for Talented Youth, where her courses in The Aerobic Newspaper combine a novel approach to learning she developed over the last 10 years of physical movement and writing: kinetic writing. As founder of the Minnesota Children's Press, Anne leads a mentor corps of proven and professional teacher-writers, editors, designers and illustrators and publishers to team with kids for an onsite production workshop in rural Minnesota schools or other Minnesota community spaces. Working together in an immersive, active-learning project, we help kids create and publish a product of their own imagining, design and execution--and discover their destiny. ​Yes! Pediatric Publishing is Here! WHAT | In 2019, Minnesota Children's Press will launch a mobile mentored publishing lab that travels to kids throughout rural Minnesota to leverage opportunities of broadband technology to help them "skill up" for 21st century communication challenges and entrepreneurial opportunities of the gig economy. We teach, model and mentor print-media publishing skills first, and then move to digital publishing skills. Our priority service area is rural Minnesota, but we go wherever we're called! WHY | We help young children develop the intellectual, creative and entrepreneurial competencies and vision required in 21st Century work and community life to feel confident, capable, appreciated, productive, connected and successful. 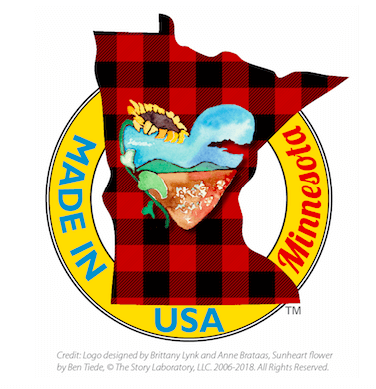 We strive to bridge the isolation and distance of rural Minnesota communities through broadband-based publishing projects to serve the One Minnesota goal so many communities envision. Call it MinnChild for short, and choose it for your children's next hands-on, active-learning workshop! In MinnChild, kids--not adults--collaboratively brainstorm, research, report, write, illustrate, edit, design, publish and market children's books, newspapers, zines, storyboards and scripts for video shoots and podcasts. All from the bottom-up: A child's view of the world as they experience it, report, write, illustrate, format, publish and distribute it. Why are we teaching children to sell mainly cookies, popcorn and candy to raise funds? Let's showcase children's creativity and intellectual ambition through books they create and publish. Note Well: The publications that your students produce could be your school's next fundraiser--homegrown and highlighting local talent!